My index finger stopped just above that blue button. I was pausing. I was unsure. Was I not only ready to send this but ready to deal with the response? This is the world we live in today. An impersonal yet somehow personal way of connecting with each other… instantly. I remembering reading several years ago that gmail was instituting a change in their email policies. If it was a certain time of day (late hours of the night) a notice would pop up after you hit “send” and asked, “Are you sure you want to send this?” I think it was called the “drunk email” something – with their goal to prevent stupid things from being sent if you weren’t in control your capacities. What is so bad about that, anyway? Not the drunk part, of course, but the idea that we wouldn’t have time to write a perfectly constructed response to a real person? A live person with feelings and a heart and eyes that you can’t ignore. The idea that we could say what was on our heart and that the person sitting across from us would, too. And I would know it wasn’t entirely edited. And they had to respond right away… instead of waiting for minutes, hours, even days for a response. When I hit send, most of the time my heart is wishing that I was sending this while sitting right in front of you. In your presence, feeling what you feel, seeing the look behind your eyes… the tilt of your head, the position of your shoulders, whether or not you were avoiding my eyes. I want to send these words in your presence, while looking at you, so you know what I mean, and there is no misunderstanding. You can tell by my tone and from the look in my eyes just how much love there is there. I’m so done with “send”. This post is part of Five Minute Friday, a link up of awesome bloggers. There's truly nothing like the intimacy of face to face conversations. That's the one thing email, text, etc. will always fail to deliver. …Visiting from #FMF. Have a great weekend! This is so good. We have entered a time where we “send” our words through satellites and cables, and not face to face. Thank you for this. I'm going to be thinking about this for awhile. Visiting from FMF. I remember that gmail “app” – it made you actually enter numbers before sending an email. 🙂 I love this sentiment though. That is why I love #FMF – it gives us the okay to be less than perfect! 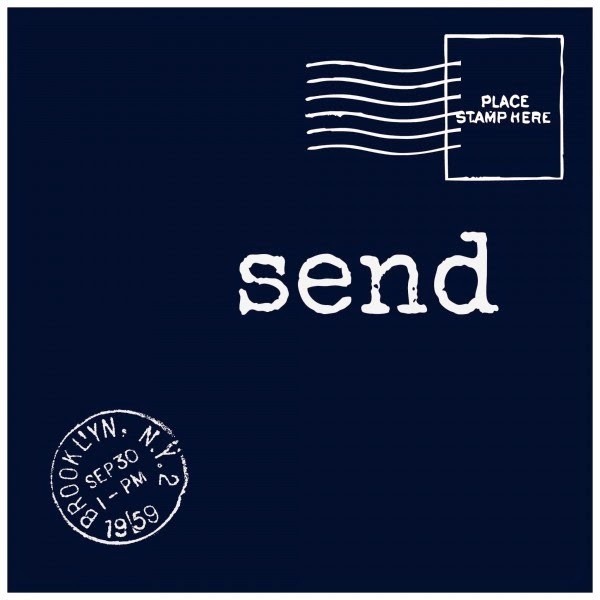 And encourages us to “send”. So, thanks for “send”ing.